This article discusses how to run the Angular 2 quick start application in VS Code using the lite-server NPM module. When your run your application (ex. press F5 to debug), VS Code should start the lite-server for you. The most important configuration in the tsconfig.json file is the watch attribute which tells the TypeScript compiler to monitor .ts files for changes and re-compile them as needed. 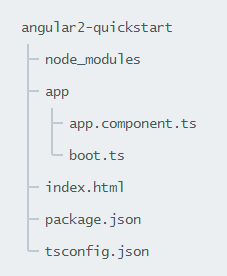 Since the configuration does not specify which files to monitor, all .ts files in the angular2-quickstart directory or sub-directories are monitored. // args is the HelloWorld program to compile. This task is exactly what we need and does not require any further modifications. You can test the configuration by making a simple change to the app/app.component.ts file. After a few seconds, you should see the app/app.component.js file is automatically re-compiled. Now that your TypeScript files are compiling automatically, the next step is to configure VS Code to launch the lite-server so that you can view your compiled application in the browser. To achieve this, the default Launch configuration requires modifications. After following the steps above, the Angular 2 quick start compiles and runs directly form VS Code, however, I have not yet figured out how to enable debugging. I would like to be able to place breakpoints directly in VS Code, but currently those breakpoints are not being hit. I suspect this is related to the use of lite-server. Published at DZone with permission of Brian De Sousa . See the original article here.